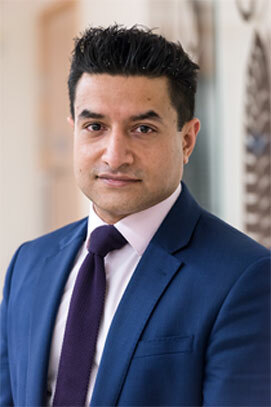 Sanjay Purkayastha is a Consultant General Surgeon with a specialist interest in Bariatric & Upper GI Surgery. He is also a Senior Lecturer at Imperial College, London. Mr Purkayastha trained at Saint Mary's hospital and medical school, Imperial College London, the London deanery, and the Royal College of Surgeons England. During his training he also spent time at Cook County Hospital, the Cleveland Clinic and the Mayo Clinic in the USA. His research interests are varied and include surgical education especially digital mobile technologies, clinical research in Bariatric and Metabolic Surgery, assessing the health of healthcare organisations, single port laparoscopic surgery and surgical evidence synthesis. He has a busy general surgery practice both for elective (planned) surgery and emergencies which include working as a trauma surgeon in one on London's busiest Major Trauma Centres at St. Mary's Hospital, Paddington, London. He was also one of the first surgeons in the UK to carry out robotic Bariatric surgery. He is one of four surgeons at the Imperial Weight Centre, which is a Tier 3 and Tier 4 service for weight loss management and surgery for obesity. He routinely carries out gastric bands, sleeve gastrectomies and gastric bypasses all laparoscopically (key hole surgery). Mr. Purkayastha provides all his Bariatric data to the NBSR (National Bariatric Surgery Registry) as he is a believer of transparency of results and outcome/volume based surgery ensuring the safest and best results for patients. His general surgery practice includes laparoscopic surgery for hernias of all kinds, gall bladder surgery and anti-reflux surgery (surgery for treatment of severe heartburn) as well as emergency surgery work outside trauma that includes management of conditions such as appendicitis, gallstones, pancreatitis, bowel obstruction, hernia emergencies and the management of many other conditions that present with abdominal pain. His NHS practice is at St. Mary's Hospital, Praed Street, London and he also sees patients there privately on request in the Lindo Wing where Prince George was born in 2013 and Princess Charlotte born in 2015. Dr. Michael Kynoch is a Consultant Anaesthetist with a specialist interest in Bariatric, Upper GI, Major Vascularand Trauma surgery. He works at Imperial College Healthcare NHS Trust, predominately in St. Mary’s Hospital, Paddington, which is one on London’s busiest Major Trauma Centres. Dr Kynoch is also the Lead Clinician for the Imperial NHS Trust Pre-operative Assessment Service and has a passionate interest in working with patients before an operation to improve their fitness for surgery. 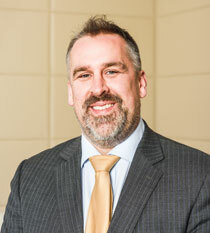 He is a key member of the Imperial NHS Bariatric service and has a keen interest in pain control for Bariatric surgery. He has attended specialist courses across Europe and the UK and has a wide scope of practice and is proficient in all aspects of anaesthesia, including Regional anaesthesiaand Obstetric anaesthesia. He focuses particularly on the provision of a tailored anaesthetic package of care for all patients aiming to allow them to return to full fitness and mobility as quickly as possible. 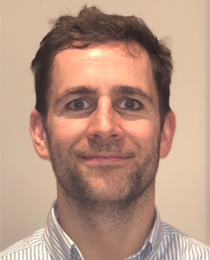 Nicholas Gilfillan is a Consultant Anaesthetist with a specialist interest in Bariatric, Upper GI, ENT and Trauma Surgery. He works at Imperial College Healthcare NHS Trust, London. Having trained in London, he has also practiced medicine in Australia within a Major Trauma Centre and brings a wealth of knowledge from other institutions. He has a wide scope of practice and is proficient in sedation and regional anaesthetic techniques. His daily practice involves the care of patients with complex healthcare requirements. He is a key team member leading in the perioperative management of patients and the optimisation of chronic medical conditions. Safety of the patient within the perioperative period is his key concern. 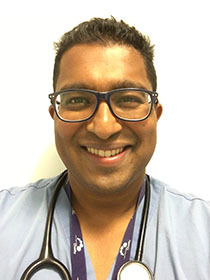 Dr Asela Dharmadasa is a Consultant Anaesthetist at Imperial College Healthcare NHS Trust where he routinely manages complex General Surgical, Bariatric, Major Trauma, Vascular, Orthoplastic and Neurosurgical cases. He trained in clinical medicine at the University of Oxford where he won the Bristol-Myers-Squibb Prize in Cardiology. He subsequently completed his anaesthetic training within the Imperial School of Anaesthesia in London and was fortunate enough to work in some excellent institutions, including Imperial College Healthcare, The Royal Brompton and Royal Marsden Hospitals. He is also an Advanced Life Support and Advanced Paediatric Life Support Instructor. He has conducted lab based research at the University of Cambridge and University of California, San Francisco (UCSF) and is currently a co-investigator in several randomised controlled clinical trials at Imperial. He is an Educational Supervisor and trainer of junior anaesthetists and has co-authored a popular anaesthetics physics textbook that was highly commended in the 2014 British Medical Association Book Awards. Dr Dharmadasa has worked on several innovative projects to improve patient safety. His work on a tool to improve safety on maternity wards won the prize for Best Abstract at a national obstertric anaesthesia conference in 2011 and has now been adopted in several UK trusts. He has also done work using technology to show that an automated preoperative text- messaging service for patients can improve their knowledge and adherence to fasting guidelines. More recently he developed and launched a nurse-led pathway at Imperial College Healthcare NHS Trust to optimise the management of anaemic patients before surgery and he is currently working with Imperial Innovations and Minima Design to prototype and develop a novel medical device. 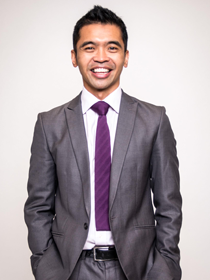 Dr Mark Catolico is a Consultant Anaesthetist at St Mary’s Hospital, Imperial College Healthcare NHS Trust, London. He regularly provides anaesthesia for general surgery, robotic ENT & urology, gynaecology, trauma and orthopaedics, ophthalmology and paediatric services. Dr Catolico is the Anaesthetic Clinical Governance lead for St Mary's Hospital, and through this role he oversees the patient safety mechanisms within the NHS organisation that drives high quality, patient centred care. Dr Catolico is passionate about his clinical governance work and has been selected on a national level as a Specialist Advisor for the Care Quality Commission (CQC). The CQC is the independent regulator of health and adult social care in England. Dr Catolico assists the CQC on Acute Hospital Trust inspections ensuring health organisations are fit for purpose. Since 2006, Dr Catolico has regularly donated his time to providing anaesthesia for children with craniofacial abnormalities in the Philippines. He has been commended on his role as an educational supervisor and was awarded Trainer of the year 2017 by Health Education England for Anaesthesia in the North West Thames region. Christina provides a comprehensive dietetic and therapy service for a wide range of issues, including the complex areas of obesity, bariatric surgery, diabetes and eating disorders. She supports clients undergoing bariatric surgery including gastric bands, gastric sleeves, gastric bypass surgery, gastric balloon and alternative procedures such as the EndoBarrier. She helps individuals to understand their relationship with food and, where applicable, the underlying psychological causes of unhealthy eating behaviour, in order to apply effective solutions. 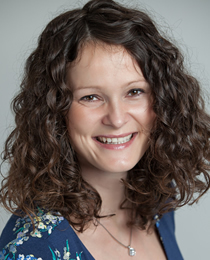 Christina holds Bachelor’s and Master’s Degrees in Dietetics at Friedrich-Schiller-Universität Jena, a PhD in Investigative Medicine at Imperial College London, and a Postgraduate Diploma in Cognitive Analytic Therapy at Sheffield University. She’s registered with the Health & Care Professions Council, and is a member of the CAT Association. Christina has featured as a weight loss expert on Channel 4 documentaries, has been recognised in books such as Annie Bell’s Low Carb Revolution, and she is currently engaged in groundbreaking clinical trials at Imperial College London, to prove the efficacy of weight loss tools. Dr. Scholtz is a consultant psychiatrist who is specialises in the management of obesity related disorders and the preparation of patients for bariatric surgery, based at the Imperial Weight Centre, St Mary's Hospital. She graduated from Stellenbosch University and completed her higher specialist training at St. George's University of London. She has expertise in the management of eating disorders and obesity, and has worked within 3 different national referral centres in this field. She is an expert at providing psychiatric assessment and support to patients undergoing bariatric surgery, having assessed and guided over 2000 patients through this process. She has trained in various psychotherapeutic approaches and uses cognitive behavioural or cognitive analytical approach in preparing patients when required. Her PhD, funded by the Welcome Trust Charity examined appetite and food reward changes in patients who have undergone bariatric surgery using functional magnetic resonance imaging, and her work has been published in peer-reviewed journals. Dr Harvinder Chahal - BMedSci, MBBS, MRCP, PhD. 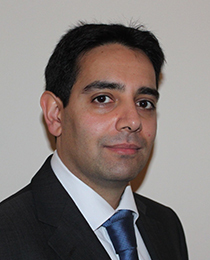 Dr Harvinder Chahal is a Consultant in Diabetes, Endocrinology and Bariatric Medicine at Imperial College Healthcare NHS Trust and Honorary Clinical Senior Lecturer at Imperial College, London. He qualified from St Bartholomew's and the Royal London School of Medicine in 2001. He trained in diabetes and endocrinology at St Bartholomew's Hospital.In 2007 he was awarded the prestigious Medical Research Council training fellowship to undertake research in the field of endocrinology resulting in several influential research papers in high impact journals. He has been awarded several national and international prizes for his research and clinical work. He has written several textbook chapters. He is the Lead Bariatric Physician specialising in managing patients prior to and after bariatric surgery and pharmacotherapy to reduce their complication risks and optimise the health benefits of weight loss. He also leads the tier 3 weight management programme for patients that would like to pursue non-surgical treatment for obesity. Dr Simon Peake is a consultant gastroenterologist at Imperial College Healthcare NHS Trust and an Honorary Clinical Senior Lecturer at Imperial College, London. He qualified from St Mary's Hospital medical school, London with honours and distinction and was also awarded a BSc degree with first class honours. Dr Peake continued his medical training at several London hospitals during which time he has undertaken specialist fellowships in inflammatory bowel disease and advanced endoscopy at St Marks Hospital. He has undertaken postgraduate research in endoscopy and immunology, investigating the impact of novel therapeutic agents in the treatment of Crohn's disease. He has extensively published in the fields of inflammatory bowel disease and endoscopy as well as writing several book chapters and peer reviewing articles for high impact gastroenterological journals. Since his appointment as a Consultant Gastroenterologist at St Mary's Hospital, Dr Peake has taken on the roles of both unit and endoscopy training lead for the hospital as well as the lead physician for inflammatory bowel disease. In addition, he has active roles within Imperial College, both as a member of the college admission interview panel and as an examiner for undergraduate examinations. Susannah Bloch is an acute respiratory physician working at St Mary’s, Imperial College’s busy acute hospital. She is the site lead for Non-Invasive ventilation and supervises and runs the medical HDU. She is part of the acute on call consultant rota and looks after general and respiratory inpatients. She also leads the tracheostomy ward round and manages inpatient tracheostomy weaning off ICU. Her experience includes management of obesity hypoventilation and obstructive sleep apnoea with NIV and CPAP. She is part of the core lung cancer team and does weekly lung cancer MDTs and clinics. She also does a general respiratory clinic diagnosing and treating all general respiratory diseases. 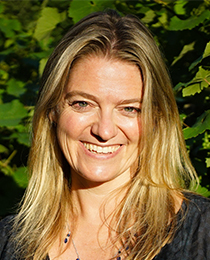 Susannah trained at St Mary’s Hospital, Imperial College School of Medicine in London and since qualifying has also gained both an MSc in respiratory medicine and a research PhD in the field of post critical illness muscle wasting. - Acute respiratory and HDU physician. - Post-operative management of medical (especially respiratory) problems.